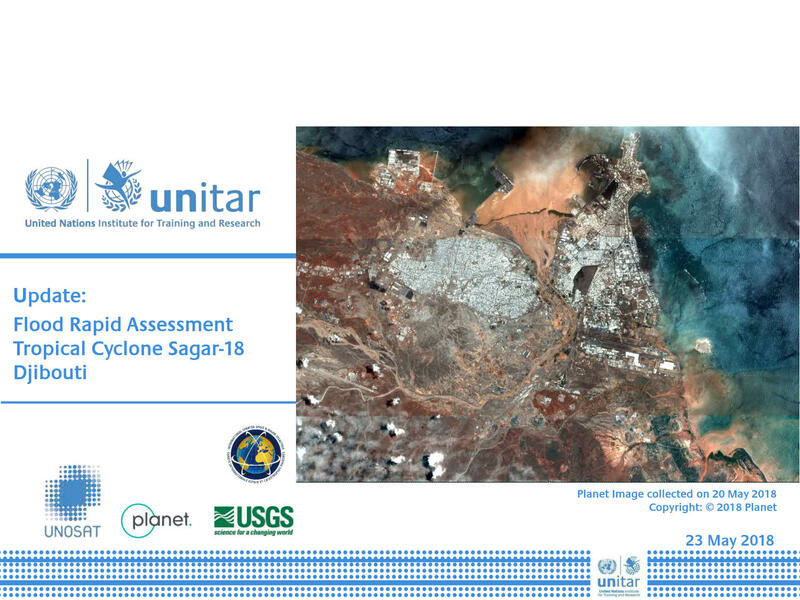 UNITAR - UNOSAT, following the request of UNOCHA Djibouti , has performed a rapid flood assessment to illustrate the impact caused after the passage of Tropical Cyclone Sagar-18 over Djibouti & Balbala. For this rapid flood analysis UNOSAT has used post-event cloud free images of the area, collected on the 20th & 21st May 2018, 3 meters resolution. From the post satellite imagery, intensive rainfall and consequent floods are clearly detected on the image from 20 May 2018. As well, from the rapid flood analysis Djibouti seems to be severely impacted by the floods while Balbala seems to be less affected. Illustration on the impact on humanitarian access and its evolution can be observed in the following pages. This is a preliminary analysis and has not yet been validated in the field. Please send ground feedback to UNITAR - UNOSAT.